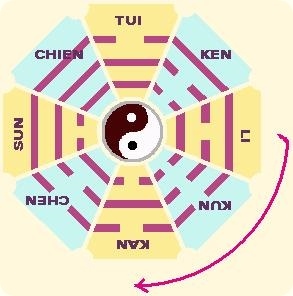 The I Ching (Yi Jing, Book of Changes) can be approached from many angles. Here are some. Fig. 1. The eight trigrams in a serial order, starting with Li to the right (East).